Never underestimate the value of a hiring a professional landscaper such as Hutcheson Horticultural to plan and install your next landscaping project. You wouldn’t treat building your home as a do it yourself project, so why would you do that with one of the main focal points outside of your home. The goal of a landscaping professional when planning your improvements are to make sure that the yard of your home looks as great or better than your house and serves as a an enhancement not a detriment to its aesthetic value. 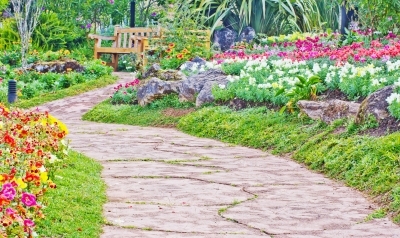 Hiring a professional landscaper is a lot more than a discussion about plants. You will soon find that a landscaping plan that is properly executed and installed can contribute to the overall curb appeal of your entire exterior from topography to driveways, hardscapes and more. We look at your new home enhancement project from a complete overview not just bits and pieces. The professionals at Hutcheson Horticultural are experienced in assessing your property to determine the proper size and scope of your landscaping design. Our job is to create a proper plan that includes all aspects of the landscaping. Materials, layout, style, plants, maintenance, hardscapes, turf conditions, tree health, drainage and more. Working with a professional can help prioritize these items and assist in the creation of a landscaping master plan for the future if your budget does not allow full implementation at one time. We feel that communication is the key to getting the yard that you desire. We will make suggestions based on the lay of your land, shading, and types of plants that grow well in your particular soil, but don’t be shy about expressing your personal preferences. For example, you may lean towards a tropical look, or you may prefer a more natural, woodsy approach. Our team can help determine what will work and what won’t. To learn more about the professional design services offered by Hutcheson Horticultural in Atlanta, Woodstock and the surrounding areas you can call our office at 770-924-1001 or use the convenient “Contact Us” form on our website.